Call HD For Apartment Foundation Repair In Arlington, Plano, Irving TX And The DFW Metroplex. We Perform Condominium, Townhouse Repair And End Cracks. For apartment foundation repair in Arlington, Irving, Plano and other DFW cities, call HD Foundations. 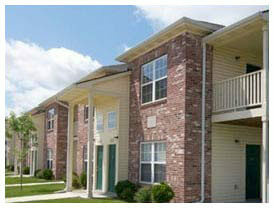 We service all types of apartments, as well as townhome complexes and condominium units. HD Foundations has extensive experience with multi-family dwellings and provides no-cost repair estimates. We also have an A+ rating with the Better Business Bureau. Why Arlington, Plano, Irving Apartment Foundation Repair? It protects the value of your property. It keeps your property safe. Floors that are uneven or cracked pose dangers. It stops deterioration. Apartment buildings, condominiums and townhome complexes in this area are highly prone to foundation cracks. HD Foundations installs pressed foundation piers and steel foundation piers. We offer affordable condominium, townhouse and apartment foundation repair service in every city in the DFW metroplex, including Arlington, Irving, Plano, Mansfield, Grand Prairie and beyond. We’re a contractor that repairs large residential complexes, as well as smaller scale properties. Our company also installs foundation drainage systems. 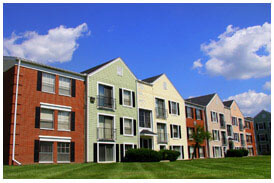 Get A Free Estimate On Apartment Foundation Repair, Town homes And Condominiums. If your structure is sinking or settling, or if you see foundation cracks, we can help. For Arlington, Irving or Plano apartment foundation repair service, or service on your condominium or townhome complex or building. call HD Foundations. Or, schedule a free estimate online today. We provide thorough foundation evaluations.